In 2019, the Glen Park Festival celebrates its 21st anniversary. This street fair, which supports the local community, is on Sunday, April 28 from 10am to 4:30pm. During this year's event, you can listen to live music, sample gourmet treats, and maybe even win a prize in this year's raffle. This festival is family-friendly and includes dozens of activities for kids of all ages. All events for this year's festival are on Diamond Street between Bosworth and Chenery. The festival plans to run a full slate of acts at the main stage, plus jumpy houses, performers, and other events specifically for kids at the end of Wilder street and elsewhere throughout the festival. It's a free event, but they do accept donations. Every year, the live entertainment runs from 10am to 4:30pm. All music is family friendly from bands and performers from all around the Bay Area. 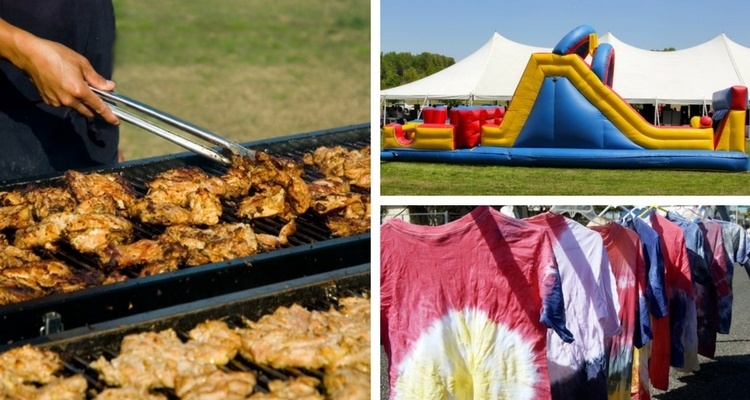 The Glen Park Festival offers a number of great activities for the kids. There are two areas specifically for children. The first area for kids includes activities such as a jumpy house and games. This area is at the corner of Kern and Diamond Streets. On the southeastern end of Wilder Street, you will find the Children's Entertainment Area. It includes a second jumpy house, story times, fire trucks and other guest appearances. Money collected from the Glen Park Festival Raffle goes to support this annual event. Prizes are announced throughout the day on the main stage in between acts. You do not need to be present to win. Simply write your contact information on your raffle ticket and the Glen Park Festival organizers will alert you if you win. Tickets are $2 each. You can also purchase 3 tickets for $5, or 6 tickets for $10. All prizes are donated by local organizations. The best way to get to the Glen Park district is by BART or bus. The Glen Park BART station drops you off right across the street from the festival. It runs all day on Sunday and is the perfect option from those coming from the Mission, Union Square or the East and South Bays. Local buses that drop within a block or two of the event include the 44 O'Shaugnessy, the 36 Terestia and the 52 Excelsior. You can also take the J-Church muni line which drops you off just a block from the Glen Park Festival. This is perfect for those coming from Noe Valley, the Castro or the Lower Haight districts. Do you plan to stay in SF for the weekend (or longer)? If so, then make sure you get a great deal on your hotel room. I often compare rates on both TripAdvisor and Booking.com. Click the links below to head to their sites for details. In addition, you will also find some great places to stay in Union Square and downtown SF. These are both great locations if you plan to attend the Glen Park Festival. Their central location will make it easy to grab a train or bus over to the event. Cherry Blossom Festival: You can't talk about spring in San Francisco without talking about the annual Cherry Blossom Festival. This two weekend long event celebrates the beginning of spring and the blooming of the cherry blossoms. It's held in the Japantown district and features traditional Japanese music, food, demonstrations, and so much more. Click here for details on this year's event. Cesar Chavez Parade: Every year, the Cesar Chavez Festival and Parade is held in April. This SF event celebrates the legendary labor rights leader, Cesar Chavez, with a parade and street fair in the Mission. Click here for more details. Half-Priced Tickets: You can also save during your visit by finding your tickets on Goldstar. This ticket retailer offers discounts at up to 50% off on tours, theater performances, annual events, and more. Click here to check out their current selection of deals. International Film Festival: One of the largest film festivals in San Francisco runs in late April and early May every year. The International Film Festival features more than 180 films from independent directors from around the world. Click here for more details on this year's event. All April Events: Are you looking for additional fun this month in SF? In addition to the Glen Park Festival, you will find dozens of other fun events including annual street fairs, wine tasting events, and free daily walking tours. Click here to find out what's happening this April in SF.